Pilgrim's Progress Today: God Didn't Give His Best Friend a "To Do List"
Enoch was very special to God and God commended him publicly. 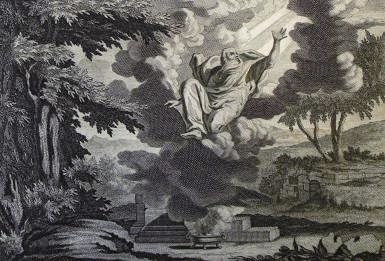 In fact, Enoch was so special that God spared him the suffering of dying a physical death. The only other person in history to receive this special honor was Elijah (2 Kings 2:11). However, nowhere in scripture does it say Enoch was special to God for all the mighty works he did to serve God. Nor did scripture list his life's achievements to validate his importance as our world's obituaries do. Below is the gist of what scripture says about Enoch. "And Enoch walked with God: and he was not; for God took him" (Genesis 5:24). God loved Enoch because he walked with Him. Evidently, walking with God is very important to Him and pleases God immensely. So what exactly is walking with God? Before you can walk with God you have to agree to meet Him so you can find out what He has to say to you. Being too busy with church ministries to have time to meet with God is not an option. Also it's a time to tell Him about your concerns and needs. After all, meetings are two way interactions. I'd like to close on one final thought. Did scripture ever mention an elaborate strategic plan, a five year plan or "To Do List" in Enoch's walk with God? Did the Apostles in their walk with God go into an upper room and develop an elaborate marketing plan for spreading the Gospel? Did they then assign each other a "To Do List" for executing the plan? My prayer is that when you read my blog, you don't approach it with a critical spirit. Instead that you come with your heart opened by God so you can hear anything that the Holy Spirit wants to say to you through the blog. My writings are only an intermediary between you and the Holy Spirit. In my best case scenario, God through His sovereign choice, leads you to my blog because the Holy Spirit has a special message for you. For all I know, the special message might not have anything to do with what I've written.